Easy-to-use junk mail filter for Mail. Is there a better alternative to JunkIt? Is JunkIt really the best app in Email category? Will JunkIt work good on macOS 10.13.4? JunkIt is a drag-and-drop junk-mail filter for Mail. Even with the best training, the default junk-mail filter in Mail can leave you with hundreds of unwanted emails. And spam-filtering programs can overwhelm you with too many features to make them work. 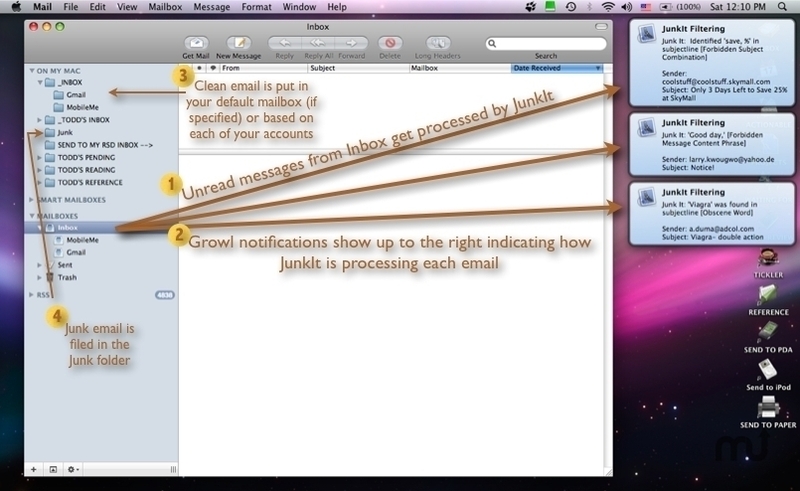 JunkIt is a simple, drag-and-drop junk-mail filter for Mail with extra features for pro users, such as notifications, reverse highlighting, and custom greetings. JunkIt needs a review. Be the first to review this app and get the discussion started! JunkIt needs a rating. Be the first to rate this app and get the discussion started!